Many of California’s farmers, facing severe water cutbacks yet again this year, are blaming the hand they've been dealt on environmental protections for endangered fish. The protections limit how much water can be taken up by the huge pumps that serve much of the state. But there’s another root of the problem, often overlooked, that controls both the state’s water supply and the fate of endangered fish: the San Joaquin River. Soon, state officials will make a pivotal decision about how much water should flow down that river each year and the decision will stick for years to come. 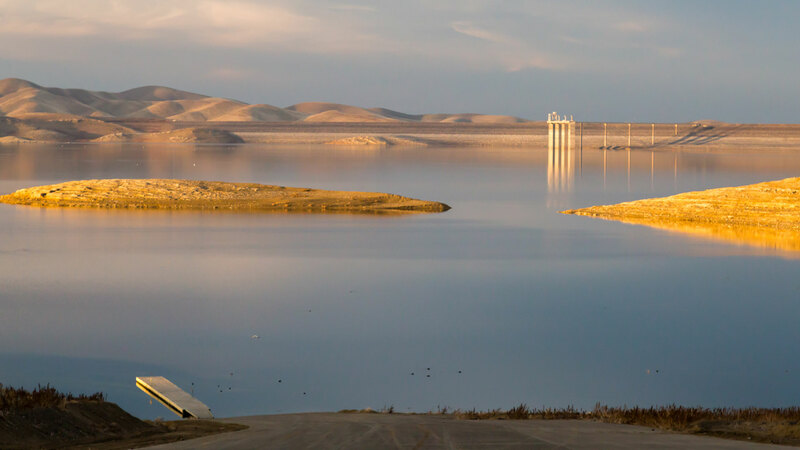 Some say it could be the most revolutionary change in decades for the West's largest estuary and the site of California’s fiercest water battles. 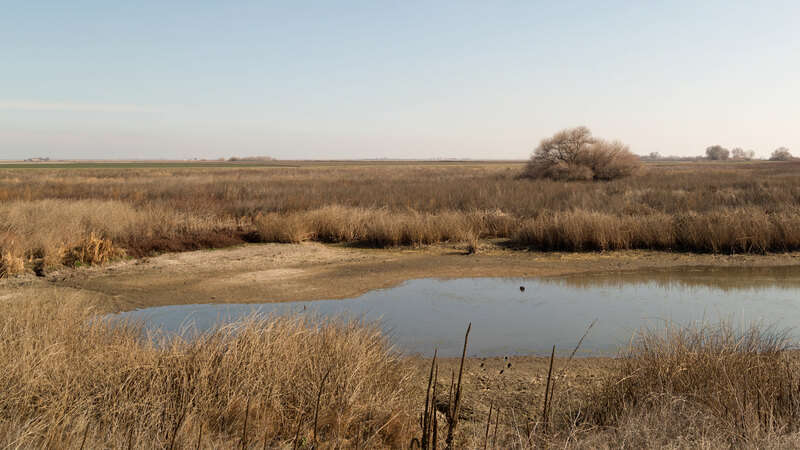 The San Joaquin is arguably the most heavily tapped river in the state, sometimes going completely dry before it reaches the hub of the state’s water supply, the Sacramento-San Joaquin Delta. In a few weeks, the State Water Resources Control Board will release a draft of an obscure water quality plan that could dramatically increase the flow of the river. In the process, the board will have to answer a fundamental question: how much water do Californians need and how much should be left for endangered fish? The board's decision could have cascading effects across the water system, even for farmers and water suppliers with some of the oldest and most secure water rights in the state. With salmon and Delta smelt populations driven to the brink of extinction during the drought, the water quality plan comes at a vital moment for some because the water board has the authority to restore freshwater flows that scientists say are sorely lacking. “It’s a once-in-a-generation chance to manage the Delta ecosystem,” says Jon Rosenfield, biologist at The Bay Institute. To boost the flow of the San Joaquin River, state officials could reallocate water from upstream agricultural water districts with “senior” rights, long-considered untouchable. San Francisco and other parts of the Bay Area, which tap into a water source more than 100 miles away, could also be facing cutbacks. But in an odd and unintended twist, cutbacks in one place could benefit farms and cities elsewhere in the state. Many Central Valley farms and cities from San Jose to San Diego rely on water that’s delivered by huge pumping plants in the Delta. When endangered salmon and steelhead are at risk, those pumps must slow down and pump less water. 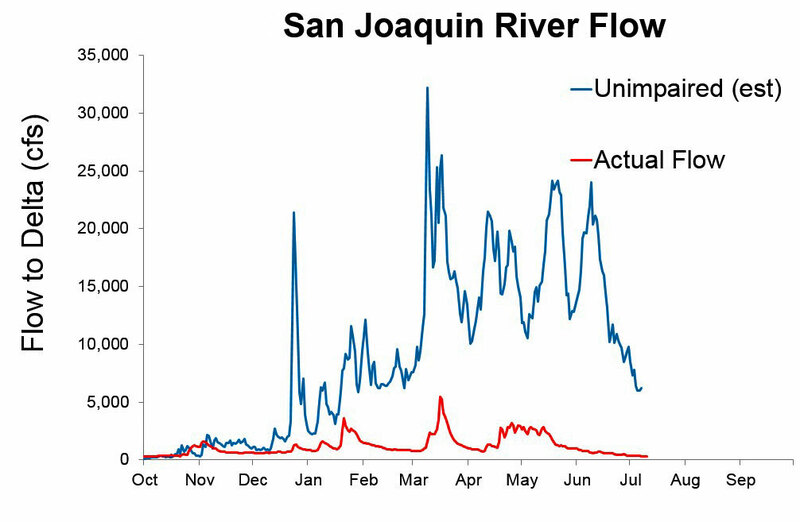 But a higher flow from the San Joaquin River generally improves the environmental conditions that trigger the pumping limits. With fewer limits, the Delta pumps could run more of the time, providing more water to those cities and to farmers who have fallowed thousands of acres in recent years. The San Joaquin River and its tributaries, the Stanislaus, Tuolumne and Merced, were dammed a century ago, turning the southern Central Valley into one of the most productive farming areas in the country. But the dams had a huge impact on California’s second-largest river. In some spring months, as much as 90 percent of the water is diverted to Central Valley farms and cities. Salmon and steelhead that depend on the river to reproduce often run into a dry riverbed and lack the cool, winding flows they need for their young to survive. “The San Joaquin River used to support some of the largest Chinook salmon populations in the world,” Rosenfield says. That’s something officials at the State Water Resources Control Board have to take into consideration, as they update the Bay-Delta Water Quality Control Plan. Federal law requires the plan, under the the Clean Water Act, to safeguard drinking water quality and protect local ecosystems. Its last substantial revision was in 1995. Now, as part of that update, the water board must decide how much freshwater should flow down the San Joaquin River tributaries. In a later step, the water board will write another plan for the Sacramento River and the rest of the Delta. 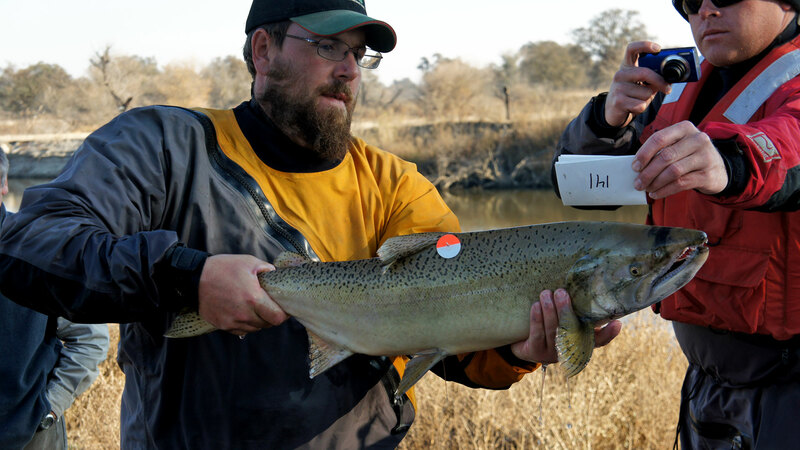 In 2010, a state report found that restoring native fish like salmon and steelhead would require 60 percent of the San Joaquin River’s unimpaired flow, or the flow that would come down the river in the absence of human use. However, the water board says it's required to consider human needs for water, in addition to the needs of the ecosystem. In 2012, the water board released its first draft of the water quality control plan update, recommending 35 percent unimpaired flow on the San Joaquin River between February and June. Reaction was swift from both environmental groups and agricultural water districts. State wildlife officials found it wouldn’t be enough water to restore salmon to the river. The federal Environmental Protection Agency agreed. Upstream water districts saw the 35 percent proposal as far too high, since they’d likely have to give up some of their water. Many hold “senior” water rights, meaning they have first priority to water because their rights are some of the oldest in the state. Modesto and Turlock Irrigation Districts estimate that requiring 40 percent unimpaired flow would cost $167 million in lost farm revenue. They speculate it would mean giving up as much as a third of their water. That would be determined by the water board according to the seniority of the water rights of all the districts involved. “For our communities, we’re looking at major economic impacts,” says Jake Wenger of Modesto Irrigation District. Apart from helping struggling fish, a higher flowing San Joaquin River could actually help other farmers and cities, a side effect of the water board’s plan. The reason has to do with geography: the San Joaquin flows right past the gaping mouths of the Delta water pumps. 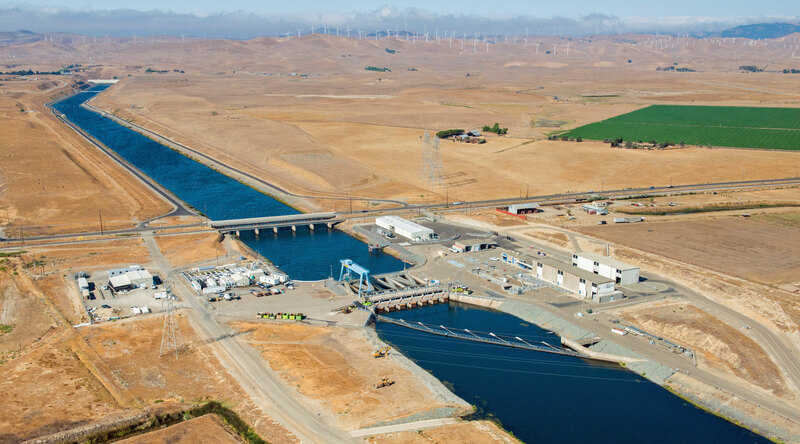 Two huge pumping plants draw millions of gallons of water per minute from the Delta and send it into aqueducts that reach all the way to the Bay Area, Central Valley and cities in Southern California. The pumps have long been the focus of the fiercest battles over water. Massive water pumps create huge changes in the Sacramento-San Joaquin Delta's water flow. When they were built, there was little understanding of their effect on the ecosystem. But their sheer power reverses the flow of water in the Delta, drawing endangered salmon and Delta smelt towards the pumps, interfering with their migration and even sucking them in. As a result, federal wildlife officials have put limits on water pumping. During the spring, if the pull is too strong, pumping is limited or shut down to protect the fish. But that reduces the amount of water that reaches the water districts where people depend on it. The meager flow of the San Joaquin River makes the backward pull of the pumps worse. If the river ran more fully, it would push against the backward flows, potentially allowing the pumps to run more of the time. Other districts that rely on the water pumps are more skeptical of a potential water windfall. Westlands and other water districts, who usually watch the San Joaquin River with a hawk’s eye, aren’t likely to advocate publicly for higher flows on the river, even though they could benefit. In dry years, many buy water from the “senior” districts upstream and, politically, can’t afford to strain those relationships. The senior water districts facing cutbacks would likely try to ensure that their water wasn’t just handed out to water districts with junior rights, which would be contrary to the state’s water rights system. Environmental groups might say the same. 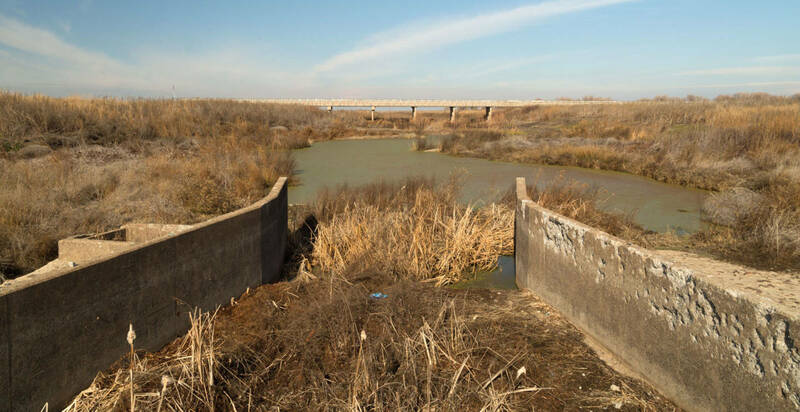 They'd like to see any extra water coming down the San Joaquin earmarked for endangered species in the Delta itself, instead of being diverted away. “It’s huge for not just the San Joaquin River, but for the entire Delta,” says Doug Obegi of the Natural Resources Defense Council. Though it’s far from city limits, the Hetch Hetchy reservoir high in the Sierra Nevada supplies water to San Francisco and more than a million people in the Bay Area. The Hetch Hetchy water system taps into the Tuolumne River, which joins with the San Joaquin River. Four years ago, the water board decided that the San Francisco Public Utilities Commission (SFPUC) would be excluded from its plan for San Joaquin River flows, even though the other water users on the same tributary, Modesto and Turlock Irrigation Districts, are included. Now, it’s looking like that decision has reversed and the city could be told to share its water. SFPUC has more junior water rights than Modesto and Turlock Irrigation Districts, which means it would be first in line to give up water. Ritchie says the city would make the case that the water is necessary for health and human safety. Other San Joaquin River water districts with senior rights, on the three tributaries that feed the river, are hoping to escape water cutbacks through habitat restoration for salmon. Several districts are arguing that they deserve more time to bring salmon populations back. No matter what the water board ultimately decides, its likely go the way that most controversial water decisions in the state go: to a judge. “You can bet it’s going to end up in court, if it’s a one-size-fits-all solution,” says Wenger. If that wasn't enough, the water board’s decision on water Delta flow could also determine the fate of Governor Jerry Brown’s headline water project: the $17 billion Delta water tunnels. The Brown Administration says the tunnels, dubbed California WaterFix, would relieve some of the problems at the Delta water pumps. The idea is that the tunnels would draw water from elsewhere in the Delta, so the pumps would be used less. Districts from the Bay Area to Los Angeles that receive that water would be responsible for the tunnels' hefty price tag. But many want guarantees that they’ll receive more water than they do today. Otherwise, the project is too expensive. If the water board requires more water to flow out of the San Joaquin and Sacramento Rivers in order to restore the ecosystem, the Delta tunnels would have to follow those rules, likely meaning that less water would be delivered to the water districts. If that’s the case, the water board could deliver a lethal blow to the Delta tunnels. In a few weeks, water board staff will release a new recommendation for unimpaired flow on the San Joaquin River. The board expects to vote on it later this year or early next year.